Caterers Compass and Sodexo will take part in a cook-off at The Hotel & Catering Show (H&CS) in 2013 thanks to a feature from the show's new owner Evisstar. The trade show is aimed at caterers and hotel and restaurant owners. It was bought by Evisstar this summer from previous owner CEM Group. Evisstar is planning several new features for next year’s show which takes place from 5 - 6 March 2013 at the Bournemouth International Centre. Caterers Compass and Sodexo will compete to create the best 60-cover lunch in the chefs kitchen. Visiting chefs and restaurant proprietors will watch the teams working in an open kitchen, while another chef commentates. 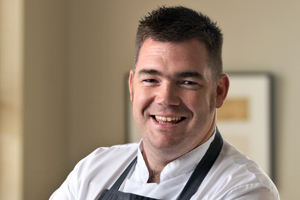 H&CS has also partnered with online chef networking community Thestaffcanteen.com to create The Staff Canteen Live, a series of live cooking demonstrations from eight top UK cooks, including two-Michelin star chef Nathan Outlaw. Guests can take part in tastings and question and answer sessions as well as watching the demos.